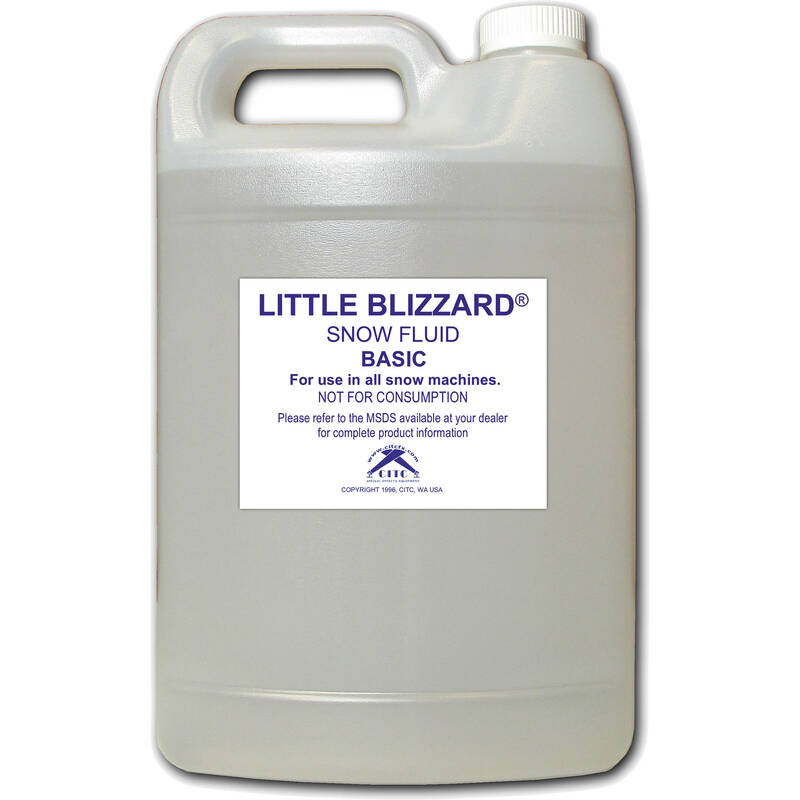 The CITC Little Blizzard Snow Fluid Basic produces heavier, white snow flakes that evaporate slowly. 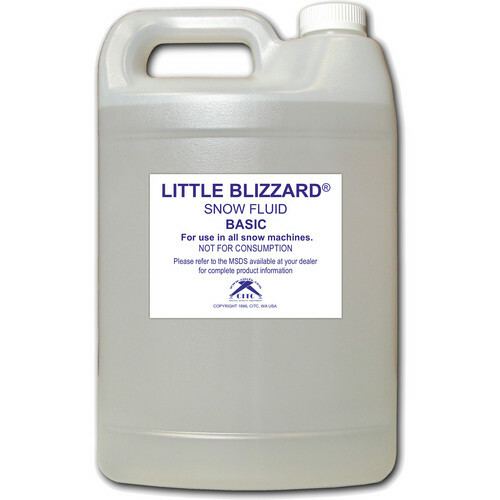 It can be used outdoors or in areas where leaving residue is not a concern. It comes in 1 gallon container. Box Dimensions (LxWxH) 12.2 x 7.5 x 5.7"